Oil prices held mid to higher $40’s as OPEC admits it sees the markets rebalancing at a slower pace than anticipated. • The proved reserves of 68 publicly-listed oil and gas companies fell in 2016. • The bulk of the drop off came from Canadian oil sands producers. • The downward revisions was due to low prices, few new discoveries, and high levels of production. • In total, the companies collectively erased 8.2 billion barrels from their books. • Norway headed off an oil workers’ strike this week, reaching an agreement on wages over the weekend. The potential strike threatened to disrupt production at five fields, affecting over 440,000 bpd – fields that are operated by Statoil (NYSE: STO), Royal Dutch Shell (NYSE: RDS.A) and Eni (NYSE: E). • Teekay Corp. (NYSE: TK) and Teekay Offshore (NYSE: TOO), a group of oil tanker and production companies, saw their share prices plummet after Morgan Stanley questioned their liquidity. • Statoil (NYSE: STO) and BP (NYSE: BP) swapped stakes in several oil blocks off of Australia’s southern coast. Statoil could revive the prospects of drilling in Australia’s Great Australia Bight, but still needs to go through a regulatory process. 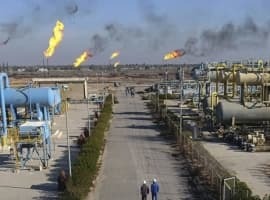 Oil prices rose on Monday on news that Saudi Arabia might cut oil shipments to Asia and the U.S., but more generally on the technical resistance that oil prices face in the mid-$40s. In early trading on Tuesday oil prices were flat. Russia says OPEC cuts will work. Russia’s energy minister Alexander Novak said that the oil market will come back into balance by the end of the compliance period for the OPEC/non-OPEC cuts. Both he and his Saudi counterpart, Khalid al-Falih, said that global crude inventories will converge back to the five-year average by the end of this year, and that the oil market will be balanced by the end of the first quarter of 2018. OPEC admits "slower pace” of rebalancing. At the same time, OPEC conceded that the oil market is balancing at a “slower pace” than it had previously expected after reporting higher-than-expected production from within the cartel and from the U.S.
Nigeria supply comeback not certain. Royal Dutch Shell (NYSE: RDS.A) lifted its force majeure on its Forcados stream in Nigeria last week, an important move that could bring back more than 200,000 bpd of oil supply to the market. At the same time, Shell also declared force majeure on its Bonny Light oil, affecting 200,000 bpd. The declaration came after the discovery of a hole drilled in its Trans Niger Pipeline. Nigeria appeared to have gained the upper hand over militants in the Niger Delta over the past year, but the attack raises concerns that militant activity has not gone away. In fact, the Niger Delta Avengers, which burst onto the scene last year with a series of successful attacks, issued a statement in early June saying that they will “resume attacks on oil facilities.” Oil prices sank last week in part because of fears that Nigeria could flood the market with rebounding supply. If the Niger Delta Avengers are as effective as they were in 2016, Nigeria’s production may not rise at all and could in fact decline. Mexico initiates oil hedging. Mexico reportedly sent a price request to Wall Street banks on their oil hedging program, often likened to one of the largest and most secretive oil hedging campaigns in the world. Mexico buys billions of dollars in hedges each year, a way to protect themselves from price fluctuations and offer some certainty for government finances. But the deal itself can influence the oil market because of its large size – typically 200 to 300 million barrels’ worth of hedges. In 2015, the hedging paid out $6.4 billion to Mexico after it locked in sales at higher prices than the prevailing market price. Mexico has initiated the process for this year by seeking price quotes. Shale drillers scale back hedging. U.S. shale companies reduced their hedging in the first quarter of this year, opening them up to more exposure to the whims of the market. According to some analysts, many drillers let their hedges expire on expectations that oil prices would continue to rise. With a lower volume of hedges in place, shale drillers could end up trying to hedge at the next possible chance – if and when prices rise to a new near-term high. More hedging, if it comes, could lock in future production, which in turn would put downward pressure on prices. India key to oil demand. India has been described as the largest source of future oil demand. India’s oil demand is expected to rise to 4.5 mb/d this year, an increase of about 200,000 bpd, which is equivalent to roughly 15 percent of the global increase. However, those figures are not assured, and the country’s long-term demand growth is not a given either, as the FT notes. India has launched an ambitious program to accelerate the adoption of electric vehicles, a program that could cut into demand growth. But critics question whether the objectives are realistic. 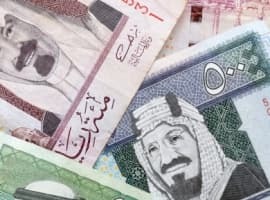 Saudi Arabia to cut oil exports to Asia and U.S. Saudi Aramco has reportedly informed Asian refiners that it will reduce exports to the region. Reuters reports that Aramco will cut exports to Asia by about 300,000 bpd in July, compared to June levels. Aramco will also cut exports to the U.S. by a whopping 35 percent. Related: Is This The First Sign Of A U.S., Chinese Solar War? Refracking to boost production. 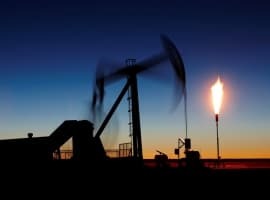 Oil producers in North Dakota’s Bakken are heading back to wells that have already been drilled with plans to “refrack” them. Some wells drilled years ago were drilled with older technologies. The Industry believes it has only recovered 5 to 15 percent of the available oil, according to the North Dakota Pipeline Authority, and the results from refracking some 140 wells show an uptick in production by 200,000 to 250,000 bpd. The difference with today’s technology and drilling techniques are much larger volumes of fluid and sand with more precise “fracture treatments.” The upshot could be higher production coming from the Bakken and lower breakeven prices. WoodMac: Oil majors need to shift to renewables. A new report from Wood Mackenzie says that oil demand will slow, threatening the oil industry’s future profits. As a result, the majors need to transition to cleaner forms of energy. Woodmac predicts annual growth rates of 6 percent for wind, 11 percent for solar, and just 0.5 percent for oil demand. Because oil companies have expertise in offshore engineering, they have a unique opportunity to lead on offshore wind in particular. Ultimately, by 2030, the industry could shift one-fifth of its capital expenditure towards renewables. Shale gas production surging. Natural gas production from the Marcellus Shale and the Permian Basin are on the rise, promising to keep a lid on natural gas prices for the foreseeable future.